not been the match of its rivals from Audi, Mercedes and BMW. With the new S60, Volvo has set out to remedy this, or at least that’s what the launch advertising campaign would have us believe. The S60 is aimed squarely at the “compact, prestige, sporting saloon” segment of the market, in other words it is up against the BMW 3 Series and Audi A4. What is it doing differently that will enable Volvo to take the fight to these titans of the prestige car industry? Well, if we start with the styling I have to say it looks the part. From the side profile it has the curves that, these days, are associated with a four door coupé and from the rear everything is taut and tidy. Unfortunately, until Volvo decides to completely abandon its boxy heritage, the front end is always going to be a problem. Even with the trendy LED running lights, the headlights are bulbous and awkward looking. To my eye the car looks slightly too high sided and stubby as well. Climb inside and everything is as it should be in an executive saloon. The fit and finish, quality of plastics and all-round ergonomics are nearly up there with the Audi and ahead of anything BMW or Mercedes have to offer. I’m not wild about the slab-like centre console but it is a Volvo after all. The front seats are supremely comfortable but if you get in the back you will find that the price of those coupé-like looks is limited leg room, a centre seat that is strictly for kids and a slightly claustrophobic feel. There are also some funky things on the options list, how about a collision avoidance system that detects pedestrians walking out in front of you and applies the brakes before you run them over? Volvo’s tried and tested 2.4 litre 5 cylinder diesel produces 204bhp in this guise, enough for a 7.4 second 0-62 time and a top end of 146mph. I like the hefty shove in the back it gives when it hits the power band and that distinctive 5 cylinder warble makes it one of the few diesels that I actually enjoy the sound of. The economy figures don’t quite keep up with the likes of BMW, expect around 50mpg in mixed motoring, but are perfectly respectable. I drove the six speed manual which is fine, but I hear that the automatic is to be avoided. What about the handling though? After all, Volvo has made a huge song and dance about what a sporty drive this car is. I can report that this is without doubt the best handling Volvo I have ever driven and I would go further, it is considerably better than the class leading Ford Mondeo whose platform it shares. Even so, it doesn’t exactly make your heart sing and urge you to push it into every corner as hard as you can. The steering is decidedly lifeless too. By way of contrast the ride is excellent, soaking up the bumps like a bigger car but without any wallowing or excessive roll. The way I see it is that it will be a rare occasion indeed when you explore the limits of the handling envelope of your sporty saloon, but a supple ride is something you will appreciate every time you drive it. 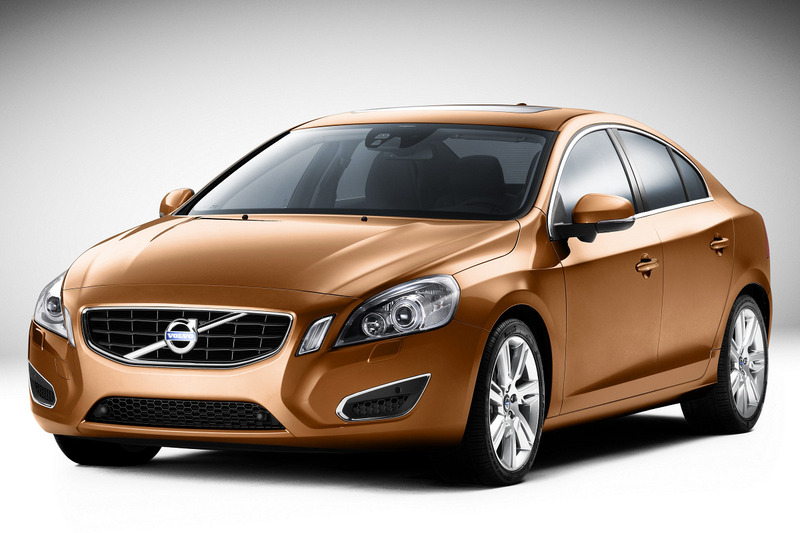 The S60 is a solid all rounder and represents good value for money. Somehow though, I don’t think that it will have the German aristocracy quaking in their boots. Even so, if you are bored with your A4 or 3 Series, it is worthy of serious consideration. And if you are quite happy to drive a second tier, prestige sporty saloon, this is definitely the one to go for.